UK Energy Secretary Ed Davey has waded into a regulatory inquiry, noting high margins in gas supply and mooting potential breakups. Investors in Britain’s top gas supplier are aghast. But Davey is onto something. Margins do indeed look rich, and competition could be stoked up. 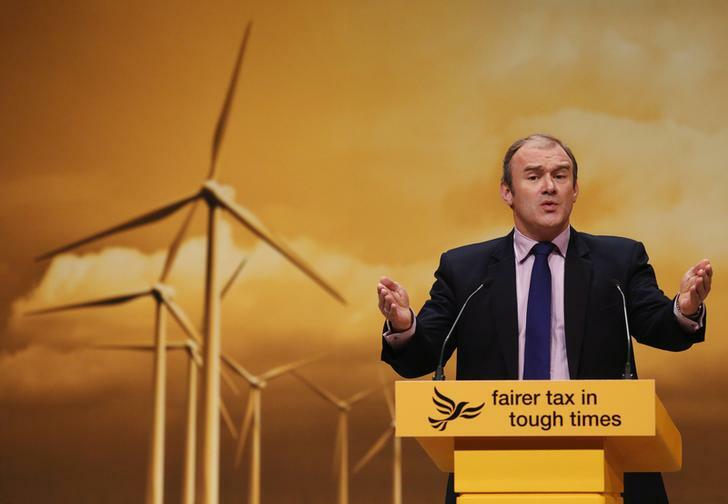 Britain's Secretary of State for Energy and Climate Change Ed Davey speaks speaks during the Liberal Democrats annual conference in Brighton, southern England. Utility bills have become a big political issue since Ed Milliband, leader of the opposition Labour party, said in September that he would freeze energy prices for 20 months if elected in 2015. British Gas Managing Director Chris Weston said the country’s energy market was among the most competitive in the world. “Our parent company Centrica does more than any other organisation to secure gas and power for British customers, with commitments totalling more than 60 billion pounds, and we can only shoulder responsibilities on this scale if we are a profitable business,” he said on Feb. 10. Ofgem, the Office of Fair Trading and the Competition and Markets Authority are already investigating competition in British energy retailing. The market is dominated by the so-called “Big Six”: British Gas, EDF, E.ON, RWE, Scottish Power and SSE. By early afternoon on Feb. 10, Centrica shares stood 2.5 percent lower at 306.4 pence. They had earlier fallen as low as 302.5p, the lowest since June 2012.